MyTrucking is an online Transport Management programme launched in April 2014 that now has clients all around New Zealand, with expansion opportunities in Australia. MyTrucking has a strong alignment with the online accounting programme Xero, and in September 2014 became a Xero add on partner for New Zealand, and also recently become a Xero add on partner for the Australian market. 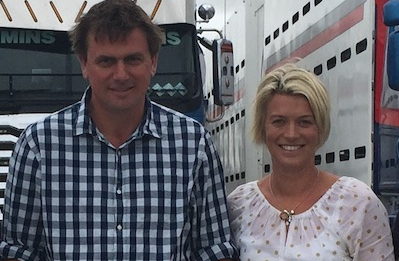 MyTrucking have opportunities to grow with Xero into other markets. Working with the transport operator during the design process is the key to MyTrucking’s success, Sam says. 2014 was the launch year for MyTrucking, but also a significant growth year for MyTrucking, to the level that clients are now invoicing through MyTrucking $3.6million per month. Original generation time 3.9237 seconds. Cache Loaded in: 0.0005 seconds.